BURMANTOFTS DECORATIVE TILES FOR INTERIORS. This is a Journal produced by the Tiles & Architectural Ceramics Society. This volume of the Journal deals with Burmantofts tiles for interiors and is mainly concerned with the decorative tiles made by the firm between 1880 and 1904. It does not discuss Burmantofts pottery or architectural terracotts and faience in any detail as these were separate products made alongside the tiles.it is the decorative aspects and colurful appearance of Burmantofts tiles that makes them so interesting to study in situ and reative scarity such a draw for tile collectors. Contains numerous pictures of Burmantofts themed tiles throughout. Tiles and the the history of the Underground. We will post overseas please contact first for shipping rate. 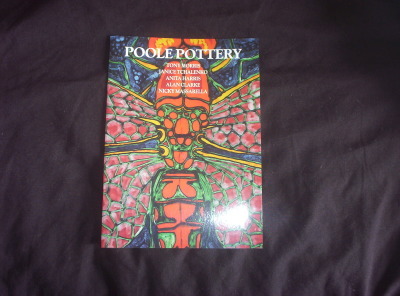 Catalogue of an Exhibition of Poole Pottery held in November 1999 at The Richard Dennis Gallery of Artists: TONY MORRIS JANICE TCHALENKO ANITA HARRIS ALAN CLARKE NICKY MASSARELLA, plenty of colour pictures included. 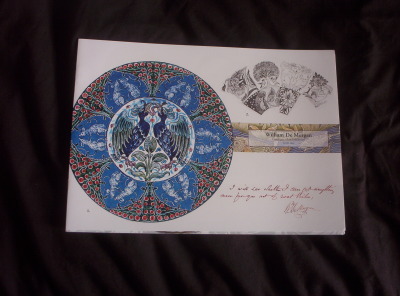 Includes 2 colour pages and black and white illustrations there are in total 48 pieces pictured either in small or large group with an identifing number to cross reference the piece in the text. 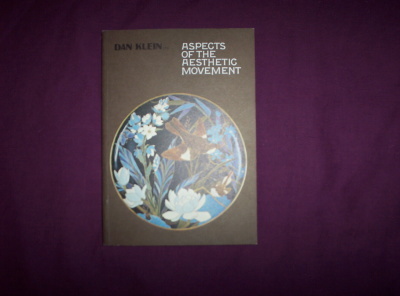 With accompanying narrative to the 87 exhibits throughout the catalogue. There is a page towards the back eith a list of 18 marks found on Czech Bohemian glass. 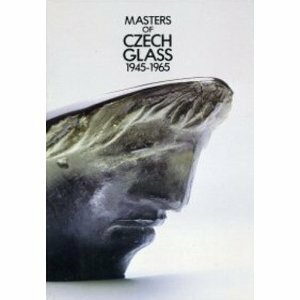 These are editions of the Catalogue of an exhibition of Czech Bohemian Glass held in London in 1983. These catalogues are original new old stock and un-issued and have been sat in storage for a number of years. They are in good condition. Postage within the UK will be £1.25 Royal Mail first class. We will ship overseas please contact for shipping rate. Catalogue of a selling exhibition held in 2002. By Carter & Co. with Edward Bawden Designs. 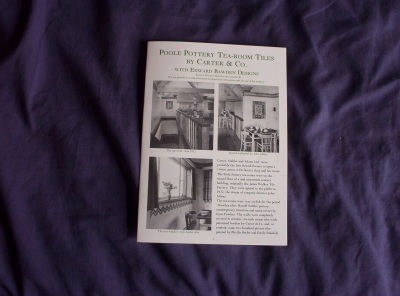 Begins with overview of Poole Pottery tea-rooms that were opened to the public in 1932. The tea-rooms were stylish for the era with Bawden tiles and Harold Stabler pottery. Shows examples of tiles that graced the tea-room in its hey day. right up to the demolition in 2001, and overview of the recovery of at least some of the tiles. We will post overseas please contact first for postal rate. 8 pages, over 50 colour plates. 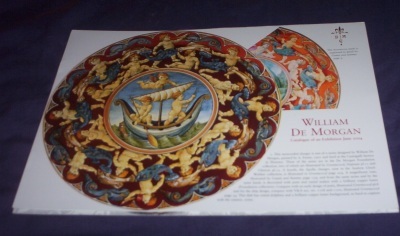 Includes examples of plates, chargers, vases and tiles. Each piece is numbered with very brief identification in the text, some of this collection is from the estate of late Professor William Lang. This selling exhibition catalogue, includes a price sheet for each piece in the sale and identified in the catalogue. Includes examples of plates, chargers, vases and tiles. Each piece is numbered with very brief identification in the text. 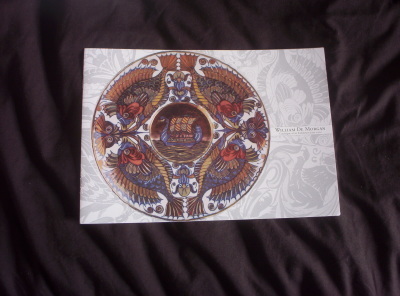 This selling exhibition catalogue, includes a price sheet for each piece in the sale and identified in the catalogue. condition and would say is new old stock. The book contains 3 colour pictures and numerous black and white illustrations throughout. Includes examples of Ceramics by C.H Branham, Doulton, Maw and Co.
including Howell & James, Liberty, Maple and Co and William Watt. This is a good reference guide for collectors and those interested in this period. We will post overseas please contact first for postage costs.